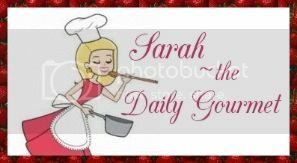 The Daily Gourmet: Crazy for Coffee!!! Who doesn't love cake, and who doesn't love coffee? *Raises hand* I am not the typical sweets lover, but I will admit that the cake pops which have been the latest rage are the perfect size for non-sweet eaters, and those who have a sweet tooth! I recently made some Tiramisu cake pops and they are insanely delicious! Preheat oven to 350° Next, generously grease a 9"x5" loaf pan. Beat cake mix, water, and eggs in a bowl on low speed for 30 seconds, then on medium speed for 3 minutes. Pour batter into the prepared pan. Bake about 45-50 minutes. Let cool. Allow the pound cake to cool. Crumble pound cake into crumbs in a large bowl. Stir mascarpone mixture into cake crumbs until no crumbs remain; you may need to use your hands. Scoop small balls of the mixture with a melon baller or spoon. Roll into balls; and insert a lollipop stick into the middle of each cake ball place on a baking sheet. Chill in the freezer for 30 minutes. Once cake balls are firm the fun begins! Dip each cake ball into melted white chocolate, and allow to rest to firm up just slightly. Then dip just the tops into a mixture of sifted cocoa powder and confectioner sugar! Voila! A cake ball dessert that even bigbucks Starbucks would be proud of! *You can save time and BUY a pre-made pound cake! They are delicious Nora! You should absolutely try them!